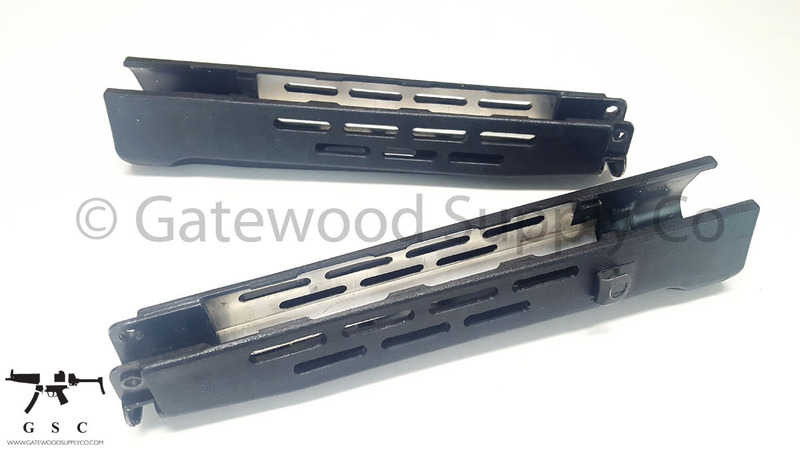 Listing for a Heckler & Koch Contract HK93 HK33 HK G3K Wide Handguard in Black, milled vent cuts to match German H&K 93 Vented handguards at a fraction of the price. Handguards were made as a small batch and are a fantastic value compared to German units which are rare and expensive. Units have heat shield and sling clip attachment point. Condition: Used, may have some handling marks. *This will not fit an HK91 H G3, or PTR full size model.